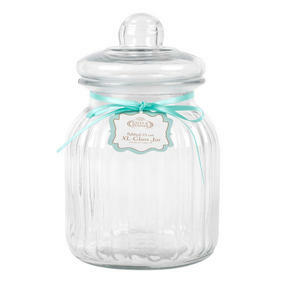 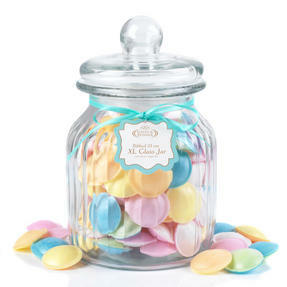 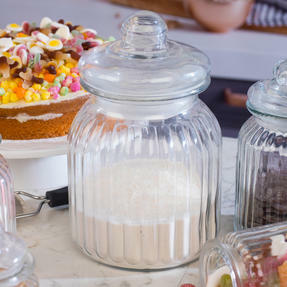 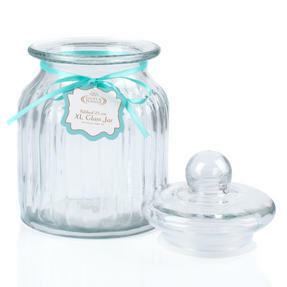 This extra large vintage style glass candy jar by Giles & Posner is perfect for storing sweets and snacks to share with your family, friends or work colleagues. Made with clear ribbed glass, it features a silicone stopper lid to ensure that the contents stay fresh so you can enjoy them for longer. 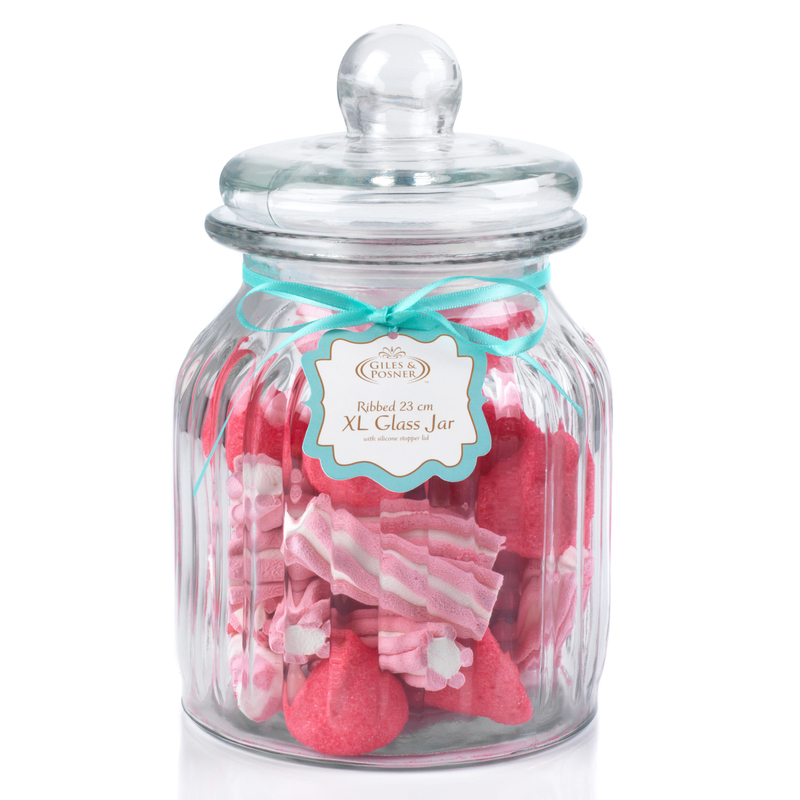 In a classic sweetshop style, it will look truly scrumptious on display and is ideal as a wedding favour or table decoration. 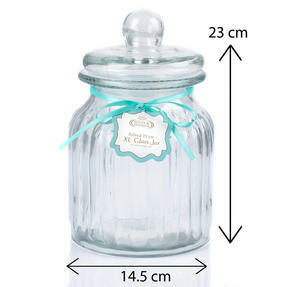 Measuring 14.5 x 14.5 x 23 cm, this jar will make a wonderful gift for any occasion. Store your favourite sweets, chocolate and treats in this extra large Giles & Posner candy jar and share with your friends and family. 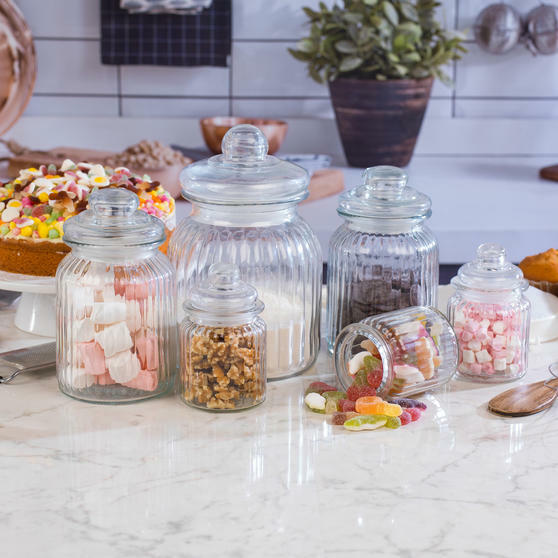 Made with high quality ribbed glass for extra strength, it will look lovely displayed in your home or on your desk in the office. A wonderful addition to any wedding, the jar is the ideal way to share sweets with your guests or to hand out wedding favours. 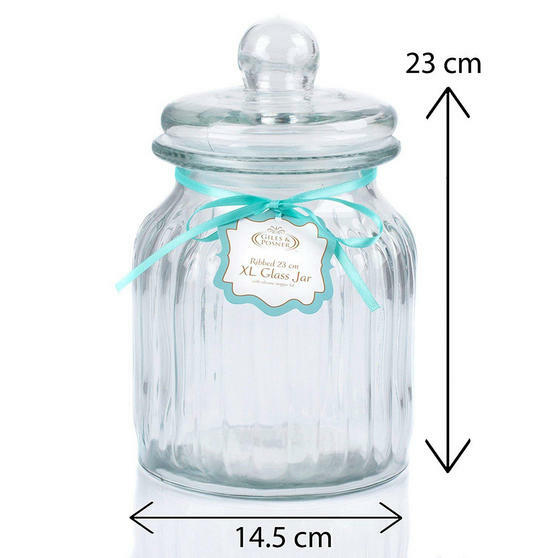 Measuring 14.5 x 14.5 x 23 cm, the jar will neatly hold a variety of edible treats, costume jewellery, small craft items and much more. The rounded glass lid adds a touch of elegance, while the silicone stopper tightly seals the contents to keep them fresher for longer.